A lot of tech critics have suggested that Apple has a big advantage in the tablet market because it controls both the hardware and the software and can therefore achieve a much tighter level of system integration. This in turn just makes everything work more smoothly. line. I haven’t found it, and you won’t either. At best, you’ll find a trackpad that can perform satisfactorily after you tweak a lot of settings—which may work fine for pros, but it’s not the kind of just-works experience that most computer users want. So now I’m ready. What is it about the integration of hardware and software that makes Apple trackpads so great? And the answer is….elusive. Manjoo goes through the travails of the trackpad on an Asus Zenbook in some detail, but as near as I can tell the real problem is that (a) Asus uses a cheap trackpad, and (b) Asus writes lousy trackpad drivers. In fact, on the trackpad front, Asus already has control over both hardware and software, just like every other notebook manufacturer. They just do a crappy job of managing it. Now this is a story I find easy to believe. The basic Windows approach to trackpad gestures is probably fine, but if you want a good user experience you need to spend a few dollars on high-quality hardware and you need to write trackpad drivers that really work. This has nothing to do with integration per se. 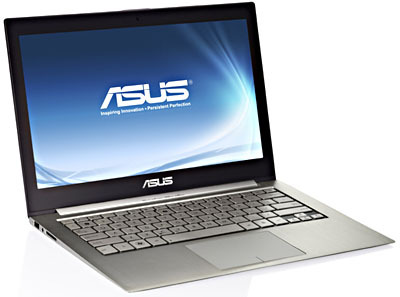 Asus and other notebook manufacturers already have that. They just aren’t very committed to high quality on the trackpad front, and apparently their customers don’t care enough to complain much about it. So I’m still waiting. I understand entirely that Windows notebook/tablet manufacturers compete strongly on price, and this generally produces less commitment to high quality when it comes to user interface details. But it’s still not clear to me that control over both hardware and software is really the big issue here. However, if anybody can recommend a deep dive into this by someone with serious technical chops (i.e., not just another Windows lover or hater blowing off steam), I’d sure like to read it.